artSMart: 2017 ZULU DANCING CHAMPIONSHIPS! Take a chance and dance and enter the 2017 Zulu Dancing Championships! November will once again be beating to the sounds of African drums as over 60 dance troupes will be performing various traditional dances associated with the Zulu culture and based on warrior war dances at uShaka. 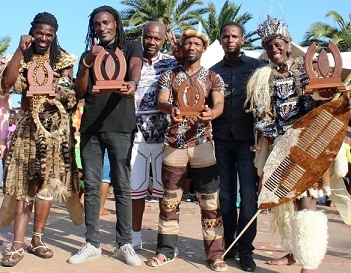 The uShaka Marine World Zulu Dance Championship, now in its 13th year, in association with the Department of Arts and Culture, will have the dance troupes battle it out to win one of three top spots from four entrant categories, that of uShameni, uMzansi, Indlamu and Ingoma dance. The regional rounds take place each Saturday during November 4, 11, 18 with the finals taking place on November 26th. The prize pool is a one year working contract, commencing December 2017 and is valued at R50,000 per contract, per winning category. “This event is so unique to uShaka Marine World. It was created to offer talented cultural performers a fantastic opportunity to develop this special art form and share it with both local and international visitors. We are very excited to once again be including additional Zulu traditional dance varieties this year, which provides us with more performing troupes that will be able to then perform in the park for the upcoming contractual year,” says Mpume Mthembu, Marketing Director uShaka Marine World. Registration for the competition, featuring each of the above categories, can be done at the uShaka Reception from now up until November 18 during office hours. For more information, contact Ndumiso on 031 328 8000 during office hours.